Another thing - the slots. 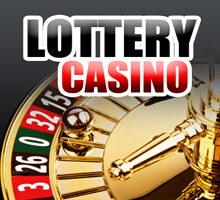 Generally it is in the highest number of slots jackpots offered, and there are not small amounts. But the problem is, it is almost impossible to count the "cutoff" value of the jackpot. I wrote earlier that we do not know MO slots, they are not published, the most calculated without knowing the layout of the drums, it is impossible, and this same layout is very difficult to find. At the moment, I managed to find the net a few calculations on a pair of slots Microgaming casino software. 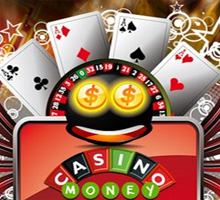 For example, one of the largest online jackpots in slot Major Million (five-drum version), the game has MO 93.87% with a jackpot of one million and 98.32% at two million. It turns out, "boundary" condition - in the neighborhood of $ 2.3 million Unfortunately, a few years of existence, not the jackpot exceeded $ 1.7 million, so it is unlikely to wait for the plus MO. By the way, count the probability of getting the jackpot is relatively easy. Jackpot is usually paid only on the last of the line, and the jackpot symbol often one on the drum. So it suffices to multiply the number of symbols on the reels. If you believe the layout found me, in the same Major Million jackpot probability 1 / (24 * 21 * 27 * 25 * 22) = 1/7.484.400. 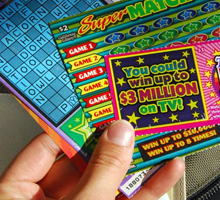 There are other jackpots, where the situation is more optimistic for the player. So slot LotsaLoot positive MO achieved anywhere from $ 73,000. Such sum jackpot reached a month before, as I write these lines, a record jackpot reached $ 165 thousand, which gives a decent plus MO. Chance to hit the jackpot - 1/285.142. In general, the jackpots are really from time to time to make a game plus. Another issue that really hopes to capitalize on this small. 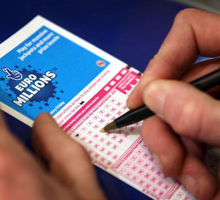 To get a plus, you have to break the same jackpot, and the probability of this event is usually from 1 to several tens of thousands to tens of millions to one. In my opinion, worth chasing jackpots in games where the share of the jackpot in the general MO is not so great, and the likelihood of loss is relatively high. That is actually the whole set of video poker games comes down to where the jackpot gives only a couple of percent of the Defense Ministry and the chances to get it about 1 in 40,000 (for a royal flush in the "Jacks or Better"). If you choose this option in the search for the benefits, I wish you luck, you especially need it!